I Promote One Thing, This Show Promotes Something Else. As a person who writes a lot of articles, with a lot of opinions in them, I must promote that counterarguments to my opinions have their validity—at least for my more subjective and biased statements in the realms of sociological and political ideas. As you may know from reading my articles, I am a proponent of technology. I promote many things futuristic and technological. An entire four-part article series by me helps lay out some of my opinions on humanity’s future. But, that doesn’t mean someone doesn’t have a good counterargument to my opinions. Those who promote the stopping of certain advancements and careful control of certain aspects have their points. And nowhere are those sorts of points more effectively laid out than in the genres of science fiction and dystopian fiction. And that’s where Black Mirror comes into the picture. A series currently on Netflix from over the pond that is, as many others pointed out before me, like a modern-day Twilight Zone. And, if you are of a nerdy persuasion, I don’t need to tell you why that is an interesting and enticing comparison. Now, what is a black mirror, I hear you ask? Why is that the show’s name? Well, it fits right into the theme of the series. 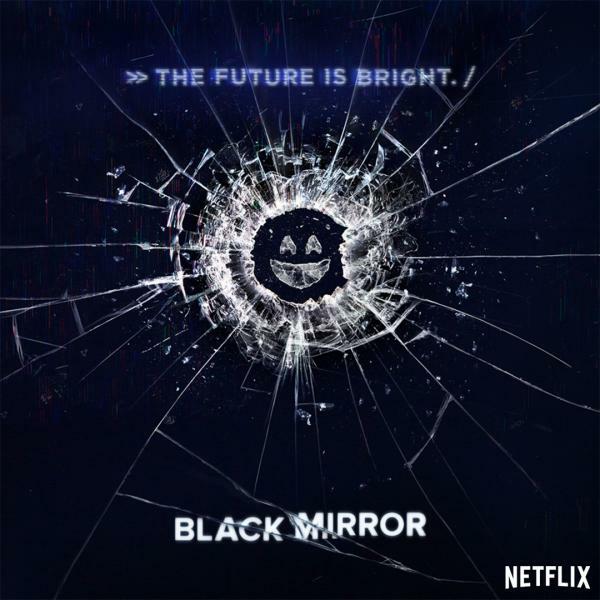 Black Mirror looks at various versions of our future either immediate or a bit far flung out (I haven’t seen every episode yet, so there may be exceptions) and shows how things can go wrong. But not in the more extreme ways of Hunger Games or Brave New World—instead much more close to home. These are likely worlds. Feasible in the next decade to century. So, let’s get back around to the question: what’s a black mirror? Well, turn off the computer or phone you are reading this on, and it will stare right back at you. A little mirror screen making the reflection tinged dark. That’s a black mirror. Pay attention as you peruse Clearwater, standing in line at the doctors, in the grocery store, or a quiet dinner at P.F. Chang’s in Countryside, and find the people not talking and looking down or standing eerily still with nothing but their thumbs and palms moving, and you will see many people holding a mirror to themselves—and to society. To Promote Introspection, Simply Show What Might Happen. Now, as you can probably guess, this show and its stories are not for the faint of heart. If I am going to promote you watch it (and that is what I am doing right now) I must warn that this is an adult show. Do not let kids under thirteen, at least, get an eyeful. Beyond swearing, Black Mirror goes into places an adult will be uncomfortable with, and though the messages this show states are exactly the sort of lessons a kid in this modern world should, and perhaps must, learn, it’s a bit more intense than one might assume. Haunting even, in certain cases. But, again, I do think you should watch this show. I think it might be required viewing for all owners of a computer or phone or a tablet device. I promote the technological future promised by the hopefuls of the science fiction community, but as I said at the beginning of the article: I am open to a well-reasoned counterargument. And when said counterargument is in a pretty package like this, with top-notch acting and superb “showing not telling” writing, I must concede that the future has the capacity to not be as rosy-tinted as I like to think. At least, not if we don’t learn from the projected outcomes thought up in stories and shows like this. But, at least, unlike the characters, we do get the chance to think of it ahead of time.